The Cape Hatteras Lighthouse has guided ships around some of the most treacherous waters in the Atlantic Ocean for more than two centuries. The legendary black and white spiral striped brick structure towers over the scenic, windswept shores of North Carolina's Outer Banks, north of where Blackbeard made his last stand and south of where the Wright Brothers first took to the sky. 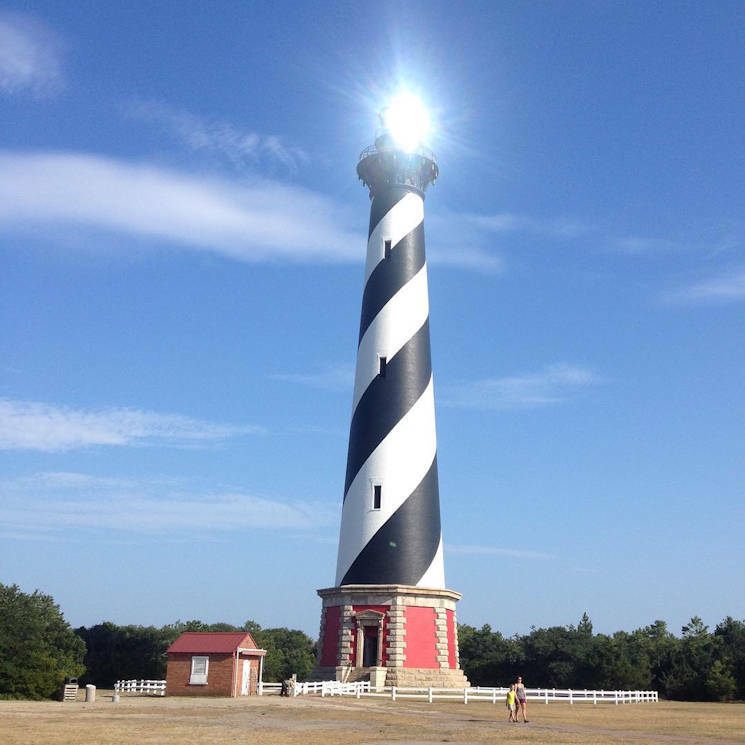 The 90-foot-tall Cape Hatteras Light was first lit with a whale oil lamp in 1803. Later deemed too short, it was replaced by a new taller structure in 1870. Due to beach erosion, the lighthouse was moved 1,500 feet back from the ocean to its current location in 1999. The lighthouse is owned by the National Park Service, but the lamps are maintained by a Coast Guard aids to navigation team that operates under the Coast Guard's 5th District, which ensures the safety, security and stewardship of waterways around North Carolina, Virginia, Delaware, Maryland, Pennsylvania and New Jersey. With its distinctive stripes and storied history, the 207-foot-tall Cape Hatteras Lighthouse is one of the best known Aids to Navigation in the world and the tallest lighthouse in the United States. Cyndy Holda from the National Park Service Outer Banks Group said the lighthouse hosts an average of 85,000 tourists from all over the world during hiking season between mid-April and mid-October. The Cape Hatteras Light is one of 24 lighthouses owned by the NPS, including the Bodie Island and Ocracoke Island Lighthouses, which are also in the North Carolina Outer Banks. “These three iconic beacons are loved by people who just like to sit and stare at their grandeur or those lighthouse aficionados who climb each and every step,” said Holda. Among the intrepid lighthouse climbers are U.S. Coast Guardsmen from the Wanchese, North Carolina, Aids to Navigation (ATON) team, led by Chief Petty Officer Jason O. Burke. The ATON team members hike up the 257-step spiral staircase to the top of the Cape Hatteras Lighthouse to maintain the lamps. “You don't want to forget a piece of equipment at the bottom,” said Burke. The Cape Hatteras Lighthouse lamps are changed at least once a year, said Burke, a native of Tampa, Florida. The ATON team and a specially trained Coast Guard electrician's mate from the North Carolina Sector Field Office at Nags Head maintain the two 1,000 watt lamps that can be seen from 24 miles away. Together with the Bodie Island Lighthouse, the light covers an area called the “Graveyard of the Atlantic,” where the warm Gulf Stream and cold Labrador Current meet. Hundreds of ships have met their demise in the shifting sandbars there, also known as the Diamond Shoals. The Diamond Shoals Lightship, the only U.S. lightship sunk by enemy action, also once guarded these dangerous waters. Torpedoed by a German submarine in 1918, the ship's remains were listed on the National Register of Historic Places in 2015. In addition to keeping the Cape Hatteras Lighthouse shining, the Roanoke Island, North Carolina-based Wanchese ATON team uses a 55-foot ATON boat, a 26-foot ATON boat and an 18-foot skiff to maintain 570 floating and fixed Aids to Navigation from the Ocracoke Inlet to the Intracoastal Waterway at the Virginia-North Carolina border. Burke said his team covers 1,600 square miles of waterways, including two large sounds, seven rivers and three very dynamic inlets. With heavy winds, nor'easters, and hurricanes, the chief said the weather around the North Carolina Outer Banks is often “unpredictable and unforgiving” in every season. “While these weather patterns as well as the influences of both the Gulf Stream and Labrador Currents make the Outer Banks a very popular destination for surfing and fishing enthusiasts, they also create numerous problems for navigation to and from the sea,” said Burke. The Cape Hatteras Lighthouse is one of nine lighthouses honored in Coast Guard Headquarters in Washington, D.C. Lighthouses from all of the Coast Guard's nine districts have elevators named after them. The Cape Hatteras Light is among the early American Aids to Navigation that were originally operated by the Lighthouse Service, which was established by the ninth law passed by Congress in 1789. 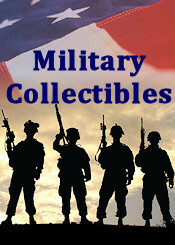 The U.S. Coast Guard absorbed the Lighthouse Service in 1939.